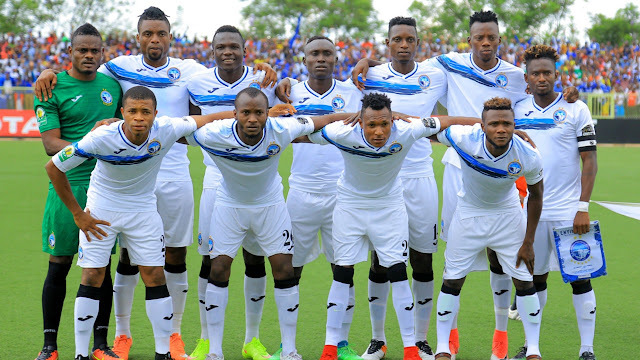 Enyimba conceded a goal early in the second half, lost a penalty and eventually the game 1-0 as the 1st leg of the CAF Confederation Cup in Aba went the way of Raja Casablanca. Enyimba came into this game on the back of playing 4 games in the last ten days including an 18 hour road trip to Gombe and back where they featured in the AITEO/ Federation Cup Round of 16 games. If there were any signs of fatigue on the part of Enyimba, it may have been evident in the fact that Raja were very comfortable for most of the first half. They did not seem in a hurry and conserved energy playing at their pace. After a goaless first half, Raja took the lead in the 48th minute after Abdelilah Hafidi’s shot from the edge of the penalty area got a deflection and went through the legs of Theophilus Afelokhai in Enyimba’s goal. 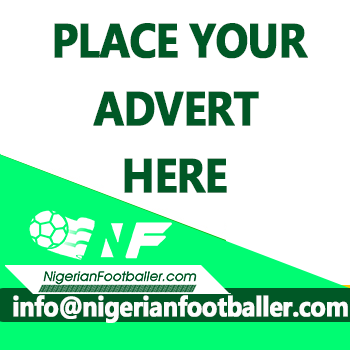 Enyimba had a chance to redeem themselves in the 61st minute but Stanley Dimgba blasted wide a penalty gifted to them. With 19 minutes left Ikechukwu Ezenwa was thrown into the mix for injured Afelokhai but Enyimba, tried as hard as they could were not able to get the equalizer for their first home loss on the continent since March, 2, 2014, a 2-1 loss to AS Ral Bamako. The second leg encounter between Enyimba and Raja will hold on Wednesday, October 24.